When the watchfam get together, it’s only a matter of time before the hot topic of grail watches rears its curious head. It’s no surprise, either, that for many collectors, their ultimate goal is usually found at the higher-end of the watchmaking spectrum. Perhaps a Patek Philippe or something of the Vacheron variety? 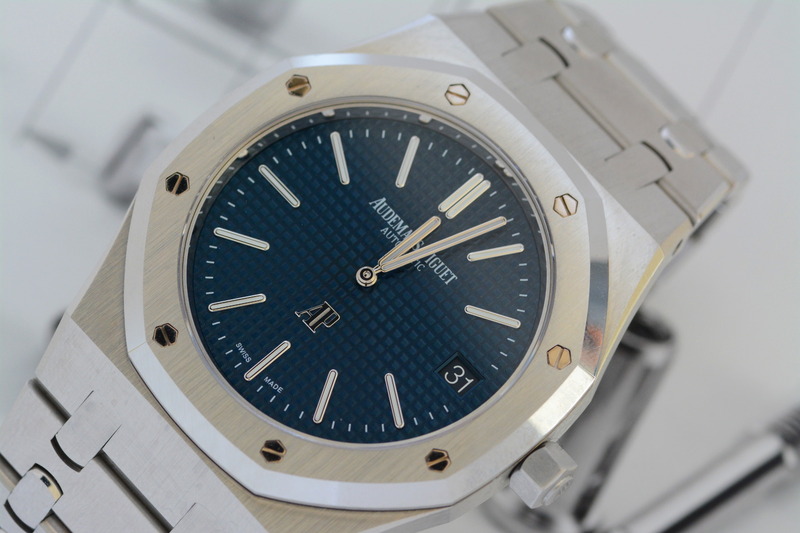 Or maybe the Audemars Piguet Royal Oak. Brought to life by Gérald Genta, when he famously sketched the design for the “unprecedented steel watch” on the eve of the 1971 Basel watch fair, it was almost a year to the day later when the luxury sports watch made its debut in 1972. Taking its inspiration from traditional diving helmets, with an octagonal case featuring exposed screw heads and an integrated bracelet, the Royal Oak is widely considered as the very first luxury sports watch and sparked the trend that has since become the much-loved norm. 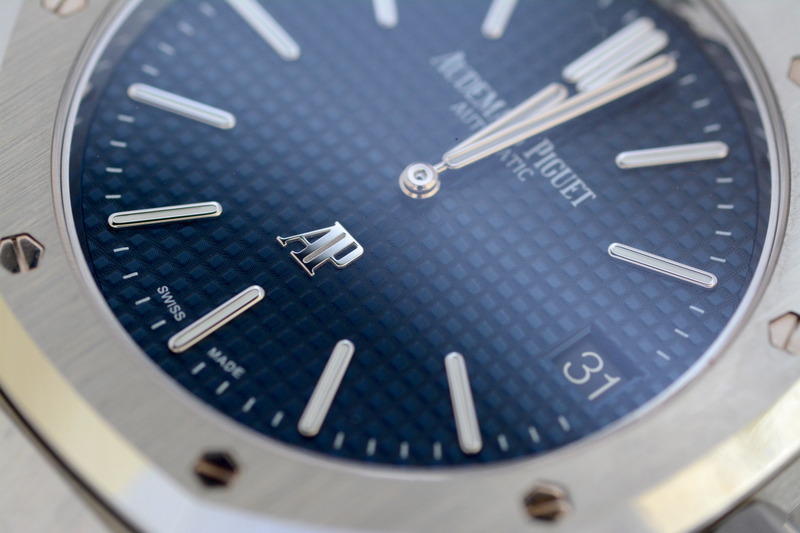 Forty years later, in 2012, Audemars Piguet released this version of the Royal Oak, the ref. 15202ST, their most faithful tribute to the original yet, and one that is still in production and winning countless watch fans the world over. Matching the original’s 39mm case diameter – a size once considered huge in the early ’70s, and leading to collectors nicknaming the original “Jumbo” – sitting the past beside the present, many would be forgiven for thinking the two were the exact same watch. 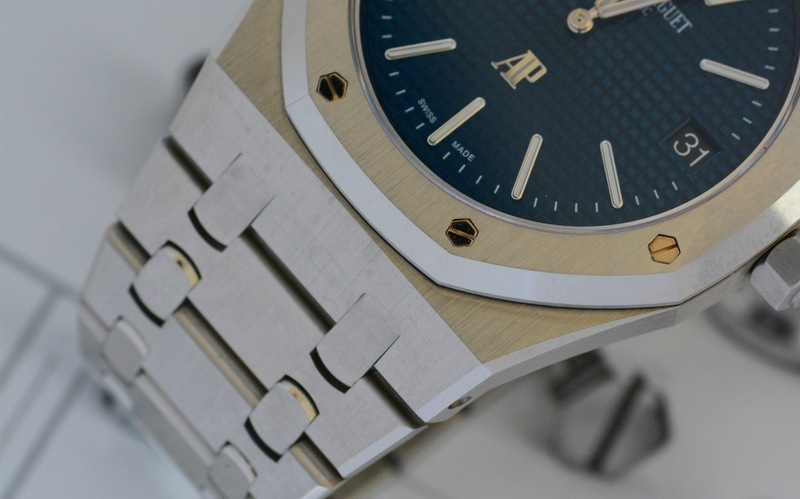 Especially when comparing the impeccable finishing of the steel case and bracelet, where a mix of polished and satin-brushed surfaces catch and reflect the light like no other steel watch before it, giving the modern-day Royal Oak a not so subtle shimmer that is both playful and refined at once. The fine finishing isn’t only confined to the outside either, and the iconic “Petite Tapisserie” patterned dial provides a compelling contrast in deep blue – a few shades darker than other Royal Oak models. While the very same self-winding movement, first used more than 40 years ago, still graces behind. 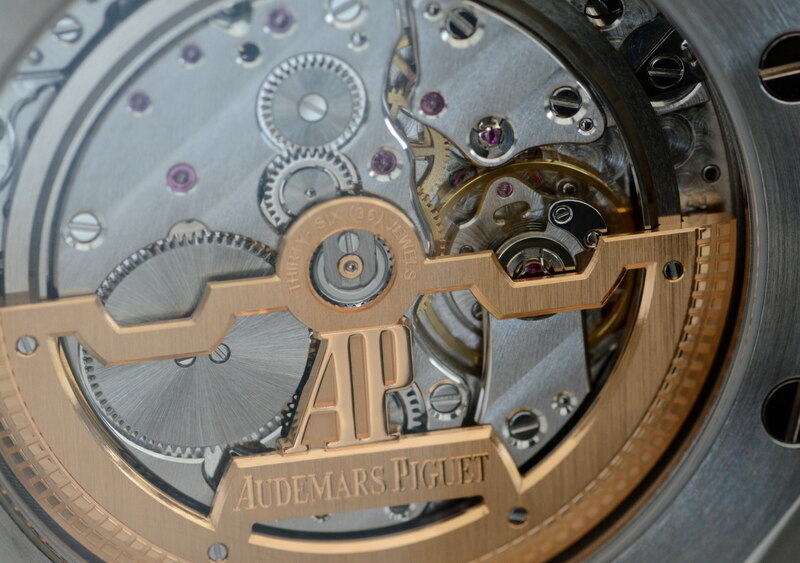 The calibre 2121 was the result of a working partnership between Audemars Piguet, Vacheron Constantin, Jaeger-LeCoultre and Patek Philippe. Measuring just 3.05mm, the extra-thin movement makes for an extra-thin 8.1mm case thickness and features a 40-hour power reserve with a full-size skeletonised rotor and delicate finishing, which, while not overly ornate, still manages to excite the eyes behind a sapphire crystal display back. The one drawback – if there absolutely must be one – is that there is no quickset date, though the date can be changed by quickly cycling the time back and forth between 10pm and 2am. Just as it did all those years ago, the Royal Oak “Jumbo” Extra-Thin, continues to delight watch lovers both on and off the wrist, proving its status as a much-coveted grail amongst collectors with perfect proportions, fine finishes, and a reliable movement. Distinguishing it as true royalty amongst a sea of luxury sport watches.